SIZE: 77 ½" x 22 ¼" x 13 ¾"
Full overlap bottom yields over 500lbs. SIZE BOTTOM: 73¾" x 21½" x 11¼"
SIZE TOP: 74½" x 23¾" x 4¾"
SIZE BOTTOM: 76" x 24-1/8" x 11"
SIZE TOP: 77-3/8" x 25-1/2" x 4"
B230/40 Disposable Burial Pouch (Econo); 88" plastic zipper; 36" x 90"; white; made of polyethelene. The Disaster Pouch in flap-over style. Double 134" zipper moves in either direction. Made of extra heavy duty vinyl, 6 handles attached with large grommets, electronically sealed with no seams. 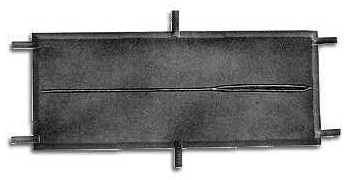 Pouch measures 36" x 90", will not tear, crack or peel. 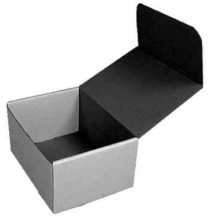 Writing Area: 3-1/5" x 3/4"
gives you a backup to your normal crematory paperwork. Wording and numbers must be on the same side. It's durable. Constructed of polypropylene plastic. This temporary urn will withstand shipping, handling, and storage without damage. It's convenient. Complete with attached lid, our snap shut cover guarantees a secured and dependable seal. It's complete. Our heavy, 3 mil. 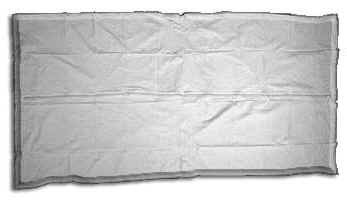 liner bag offers added protection against tearing and abrasion. Size...............4 ¼" x 6" x 8 ¼"
HEPBURN SUPERIOR OFFERS QUANTITY DISCOUNTS ! Constructed of white cardboard, easily assembled.Shipping label NOT included. Available in quantities of 100, in increments of 25.
tie and a shipping label. B250/203 Polybag 8" x 4" x 18" Gusseted - 2mil. B250/201 Polybag 12' x 18" Flat - 2mil. 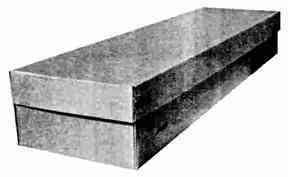 B250/202 Polybag 12" x 16" Flat - 3mil. 2-PIECE, WHITE EMBOSSED: 3 ½" x 3 ½" x 2"
with no loss of cremated remains. Comes in a metal and gray finish.